I knew straight away what it was - Pear Rust. But it got me thinking, it's only meant to be able to complete it's life cycle with a juniper bush and I've not seen any close by. I'll have to keep an eye out when visiting neighbours in future as it's a shame to have my pear trees affected by this. Apparently if you remove and burn affected leaves from the juniper you can help reduce the rust on your pear trees, hopefully breaking the cycle and getting rid of it. I don;t think it's too detrimental to the tree but it can cause canker which will weaken the tree. 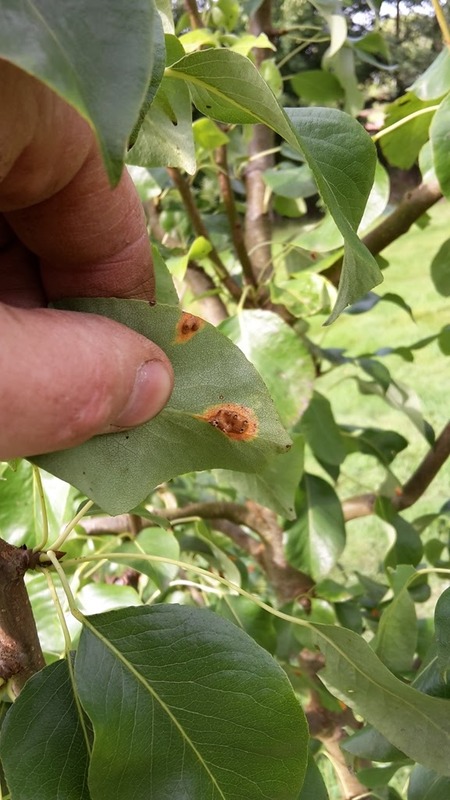 Anyone else have pear rust on their trees? 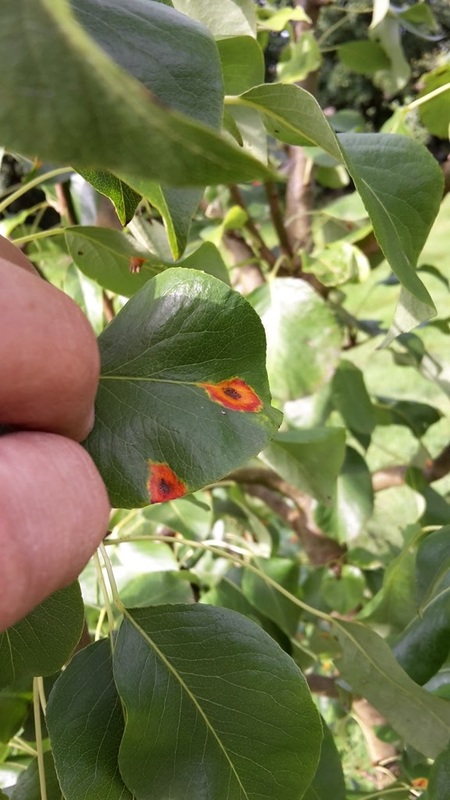 What's the worst thing affecting your fruit trees this autumn? Yes, two out of the three pear trees have it. I pick them off and throw them away. The worst thing affecting us is NO FRUIT. Ha. Us too. For whatever reason we get a really good fruit crop here every other year. This is our off year. Ive had no plums on the tree at all this year, last year we had so many I had to give them away. Do You Forage For Mushrooms? Extension Progress - Slab Poured! Little Boy Loves His Granddad! Three Keep Me On My Toes! Back To Being A Stay At Home Dad!